Because wolves have been driven out of so many former haunts across North America, the coyote (Canis latrans) has been given an opening. 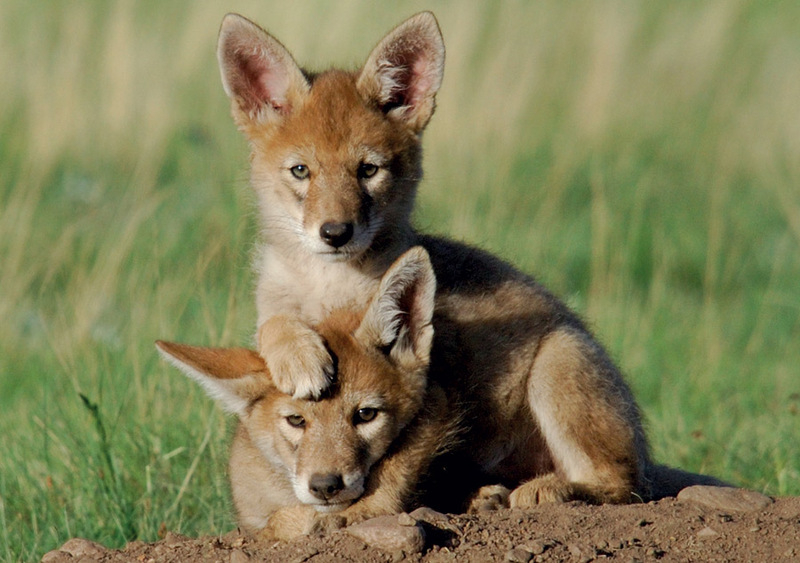 Conversely, where wolves are reintroduced, coyote populations shrink. Overall, the most common wild canid on the continent has been coping exceedingly well during the last half century, moving into parks and suburbs and replacing the wolf as the most successful livestock predator. Young coyotes mature quickly, and by their sixth month male pups begin heading off to find mates and establish their own pack.